The keyfob is back in black! Enjoy the new classic black on your favourite design. EWK2 is the simplest way to control the security system. 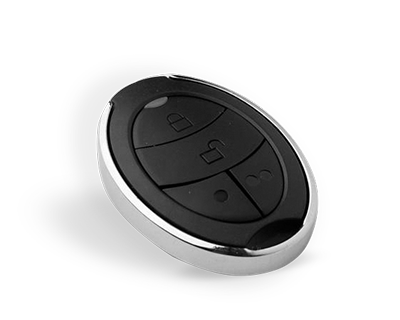 The keyfob has 4 buttons, which can be configured to arm/disarm the security system, open gates or control different home appliances. The built-in buzzer and LED light allows to check the status of the system and make sure if command was successfully completed. Eldes offers a panic button EWK2A. 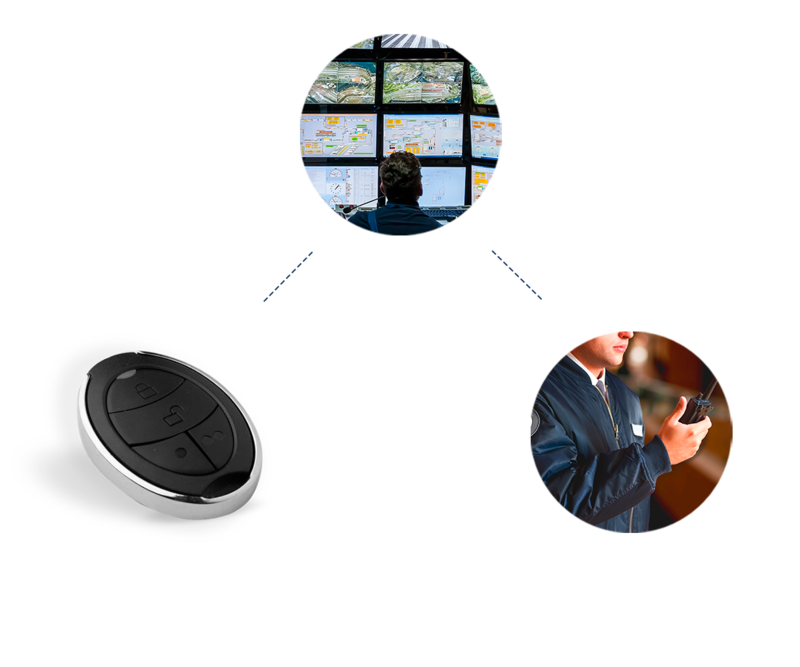 It is a one button keyfob which secures your home, business or even yourself sending the emergency signal to the security company after you press the button. Keep your safety close to you! How to restore default parameters? Launch ELDES Utility software, go to Peripheral Devices section, remove previously added EWK2 keyfob by clicking “Remove” located next to the paired wireless device icon. Press and hold and and buttons simultaneously. Hold those buttons pressed (approx. for 10 seconds) until LED indicator and the buzzer provide several short flashes and beeps simultaneously. © 2019 UAB Eldes. All rights reserved.